We’d love your help. 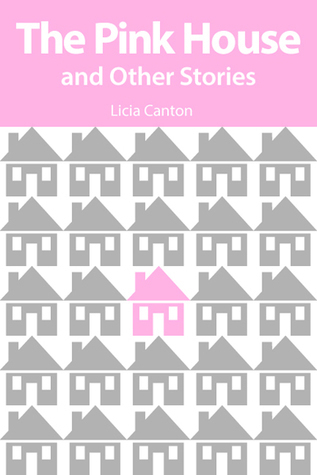 Let us know what’s wrong with this preview of The Pink House and Other Stories by Licia Canton. To ask other readers questions about The Pink House and Other Stories, please sign up. The Pink House and Other Stories is a collection of 15 short stories. Each of these stories stand on their own, but several of them are interconnected. 6 of the stories are about events surrounding a car accident after a Leonard Cohen concert and a writer experiencing a creative block post trauma. The stories are told from different perspectives; the victim, the driver, the passenger, making the connectedness less obvious at first, but apparent as you continue reading. 2 other stories center aro The Pink House and Other Stories is a collection of 15 short stories. Each of these stories stand on their own, but several of them are interconnected. 6 of the stories are about events surrounding a car accident after a Leonard Cohen concert and a writer experiencing a creative block post trauma. The stories are told from different perspectives; the victim, the driver, the passenger, making the connectedness less obvious at first, but apparent as you continue reading. 2 other stories center around an unlikely couple; a very pregnant woman and a man she meets in the library. I was left wanting to know more about them. I enjoy reading short story collections, particularly when there are connections between the stories, for instance, reoccurring characters. Such is the case in Licia Canton's The Pink House and Other Stories (2018, Longbridge Books), her second collection of short fiction. The two main characters throughout the majority of the stories are Rita, an Italian-Canadian, and an unnamed woman who gets struck by a car outside the Bell Centre in Montreal. Some patience is required on the part of the reade I enjoy reading short story collections, particularly when there are connections between the stories, for instance, reoccurring characters. Such is the case in Licia Canton's The Pink House and Other Stories (2018, Longbridge Books), her second collection of short fiction. The two main characters throughout the majority of the stories are Rita, an Italian-Canadian, and an unnamed woman who gets struck by a car outside the Bell Centre in Montreal. Some patience is required on the part of the reader for the stories seem a little random at first, many not using proper names or are written from different perspectives. After a few stories, the pieces begin to fall into place, and the reader's patience is rewarded with some fine exercises in creative writing of otherwise mundane incidents looked at by a discerning eye. Renewing a driver's licence ("The Motorcycle"), buying a home ("The Pink House"), writer's block ("Soft Pastels"), a hit and run ("In Front of the Bell Centre"), and a chance meeting in the library stacks ("In the Stacks") all supply events for the keen interpretive eye of Ms. Canton.